There were 710 press releases posted in the last 24 hours and 153,531 in the last 365 days. SMi reports: Metys Pharmaceuticals, Ensysce Biosciences & AstraZeneca will be speaking and presenting at SMi's Pain Therapeutics Conference in London, this May. 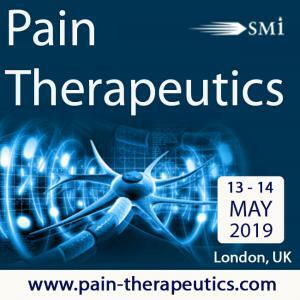 LONDON, LONDON, UNITED KINGDOM, April 9, 2019 /EINPresswire.com/ -- Pain Therapeutics 2019 will cover the leading advances in pain therapeutics, exploring late development clinical trials, atypical opioids, migraine treatments, such as Lasmiditan and Aimovig, novel discoveries in opioid-free analgesia and the future forecast for pain therapeutics. The 19th Annual event taking place on the 13th and 14th May 2019 in London, will gather industry leaders that will uncover the latest advancements in the field. Furthermore, policy experts will provide an essential regulatory perspective for this year’s agenda, providing a comprehensive insight into the pain therapeutics market. Prior to the conference, SMi Pharma had the opportunity to speak with three of the featured speakers including AstraZeneca, Ensysce Biosciences and Metys Pharmaceuticals to discuss some of the challenges they face in the industry and their strategies for overcoming them. Q: What are the main challenges in your day-to-day work relating to analgesic drug discovery? A: "Gathering confidence that our preclinical work, both in vitro and in vivo, really represents translatable work to the clinic. Access to human tissue and the increasing use of iPSCs should gradually change this." Q: What are your thoughts on the paradigm shift into new novel therapies and approaches for pain and how is this currently impacting your role? A: "We applaud any avenue that will help people in pain, be they devices, or novel approaches. However, we don’t see a lot on the immediate horizon and that’s why we feel we have a unique opportunity with our approach to abuse on overdose of opioid products." Q: The Pain Therapeutics market has matured greatly over recent years, what key differences have you noticed in the last year regarding significant developments? A: "The Pain Therapeutics landscape is changing: we should be hearing news from the sigma-1 receptor antagonist that Purdue/Mundipharma licensed from Esteve a few years ago. Also, the angiotensin II type-2 receptor antagonist that Novartis bought from Spinifex should be soon reporting its results from its Phase 2 trial(s). Several NMDA modulators have recently announced disappointing results in clinical trials of depression and in painful diabetic peripheral neuropathy, and it will be interesting to discuss why they may have failed. Similar questions are at hand for the Nav1.7 inhibitor that Biogen had taken over from Convergence Pharmaceuticals. The new CGRP antagonists in migraine are making big waves, and it would be interesting to learn more about how widely these agents can be effectively used. There are also important new guidelines that have been promised by the FDA last year, and it will be interesting to hear what these may entail. These are the types of questions that we hope to get some answers at the SMi Pain Therapeutics conference." Attendees will have the opportunity to hear hand-picked expert presentations from the likes of AstraZeneca, Ensysce Biosciences, Metys Pharmaceuticals, Reckitt Benckiser, Janssen Pharmaceuticals, Eli Lilly, AbbVie and more. Pain Therapeutics 2019 is proudly sponsored by CHDR, Lotus Clinical Research, MD Biosciences.